As we head past the end of December and into a new year, I hope everyone is having a happy holiday season. The end of one year and the start of another is usually a time of change, whether we think about it or not. It’s human nature this time of year to evaluate where you stand. Sometimes people make changes. For me, there always seems to be change going on. As many of you know, I moved not too long ago. But I still haven’t finished moving into my new house in Guntersville. Seems like there’s always something else to do, something left to finish. 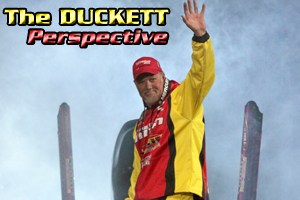 There are plenty of changes happening at Duckett Fishing. We’re trying to form new lines and new products. 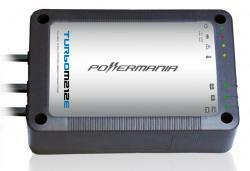 At the same time, we want to keep churning out and offering good warranties with our MicroMagic rods, the original series that put us on the map. Speaking of change, though, I was thinking the other day about all the movement that’s taken place with a project that I’m really proud of: Major League Fishing. First of all, I’m not the only person that’s proud of Major League Fishing. I bet you could ask every angler that’s invested time, effort and money into competing with MLF, and they would all say they’ve never experienced anything like it. 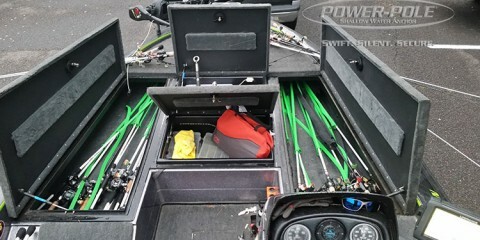 I hear all the time from other anglers that Major League Fishing is the one entity in professional bass fishing that is truly getting it right. 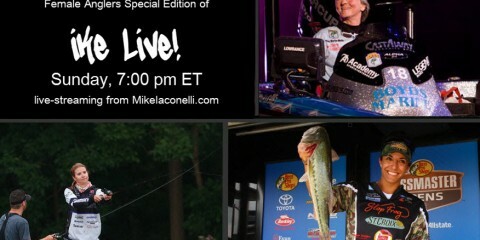 It’s amazing what Major League Fishing has accomplished in a very short time period. Major League Fishing has become the No. 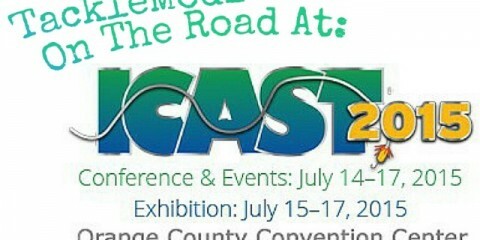 1 fishing show anywhere and has evolved into what tournament anglers believe is the toughest level of tournament competition they’ve ever experienced. MLF has also been received by sponsors with a level appreciation I’ve never seen. 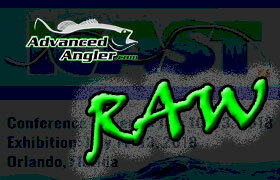 We have outstanding anglers, a good network, an excellent management team, and strong plan for future growth. The other day at a show, a guy asked me what my top memories of competing in MLF have been. I told him that’s a good question, and I had to think about it for a minute. Here’s what I said. The first impression that came to mind was our inaugural event at Lake Amistad. I had been instrumental in creating the format. I had worked day-after-day with Gary Klein and with our management team to see if we could make the show a reality. The point is that we had talked about it so much and for so many hours, and I was so familiar with every aspect of what was going to happen in that first production, you’d think it would end up being just be another fishing tournament. And I thought that’s what would happen. I thought that first event would be an anticlimax. A second memory, for me, happened in our third event, which was in Florida on Lake Istokpoga. In that event, I almost made the championship round. But in the second round, the Sudden Death, I was right behind Alton Jones, who was leading – but I was dialed in. I’m a bite, maybe two, away from reaching the cutline and advancing to the final round. Then a hurricane blew in – literally. It was Hurricane Sandy. We were just outside the primary path, but the winds plowed across Istokpoga and blew everybody and everything all over the lake. It cleaned the place out. In fact, Alton had made the cut about five minutes before the worst of it hit. The wind blew my boat right into the grass where he had been fishing. But what I remember most is the fact that after the storm passed I never got on anything. To this day, I can still feel the emotional letdown. I’ve had plenty of disappointment in tournaments before. This one was tough. I wanted it. One other memory comes to mind. And, again, I imagine every other angler in our field might say the same thing. I doubt if I will ever wipe out the memory of watching Kevin dominate our Alpena event. 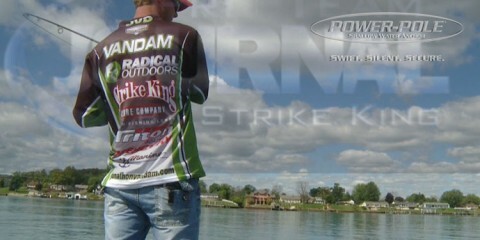 Now, I understand that it was Kevin VanDam fishing in his home state of Michigan. But that still doesn’t explain what we experienced. Watching Kevin on a body of water that suited his style perfectly was a beautiful thing to watch. It wasn’t his home area – in fact, he was only slightly familiar with those lakes – but he figured them out in a hurry. We all got the feeling that we were in a class below him. In the first round, I was in second place for a while and I was smoking them. But every time we got a leader board update, I was falling further behind. I mean I was smashing them, but if it had been a horse race, I would have been looking at him and his horse getting smaller and smaller. In the final round, Greg Hackney caught more than 60 pounds. Kevin caught 92. That was a day to remember.